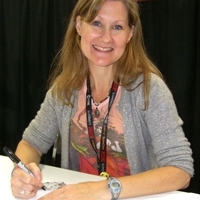 The extremely talented Veronica Taylor is most famous for voicing Ash Ketchum in Pokemon. She also voiced May and Ash’s mom. As the voice of Ash, she has appeared in a series that has exploded in popularity and played around the entire globe. In addition to this, Veronica has a ton of roles in other anime. Including Amelia from Slayers, and Yukino from His and Her Circumstances. She has been a character in dozens and dozens of different anime and video games, including Final Fantasy Dissidia, Shadow Hearts, Tekken, Slayers, One Piece, Mew Mew Power, Mobile Suit Gundam Unicorn, Ah! My Goddess, Angel Sanctuary, and more.